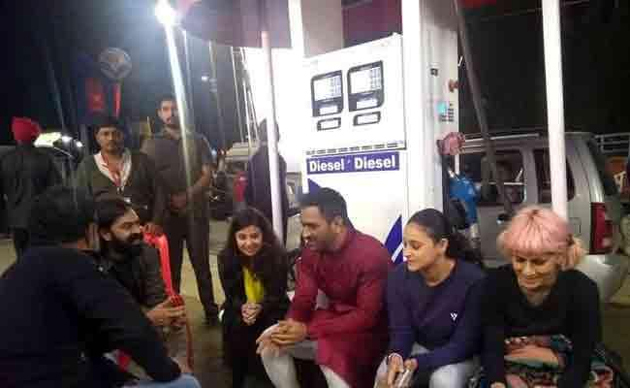 Photographs of MS Dhoni and his wife Sakshi sitting at a petrol filling station have gone viral on Social Media. A Netizen has gone to the extend of saying that the Indian Cricketer shares his plight with Aam Janta by participating in the Bharat Bandh against Fuel Tax loot by Modi Government. He even quotes Dhoni as saying, 'I stopped playing the helicopter shot because I couldn't afford petrol at Rs 90/litre'. The Fake Quote and Photographs of Dhoni has been widely circulated on the social media. Priyanka Chaturvedi, who is the National Spokesperson of Congress, had retweeted this post. Anticipating trouble, The Netizen who placed the post has deleted it within short period. Actually, MS Dhoni hasn't taken part in Bharat Bandh at all. Those photographs were shot when Dhoni was at a Hindustan Petroleum Pump in Shimla in August 2018. 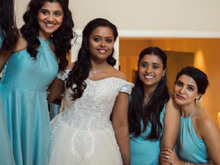 The cricketer and his wife had gone to Himachal Pradesh to shoot an Ad Film.